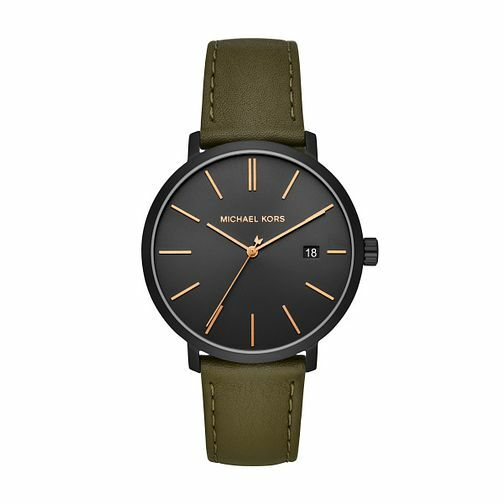 A smart and sophisticated men's watch by Michael Kors, as part of the Blake collection. A robust ion-plated case boasts a bold black dial, complete with rose gold tone indices, three hands, and a practical date aperature at the 3-o-clock position. A smart green leather strap finishes this quartz timepiece, everyday fashion and functionality for the modern man.